Get your summer swagger back with an addition or two to your closet. Though when the temperature is tipping the scale at nearly 100F, long sleeves are hard to imagine. Nobody said looking good was easy. I just recently found out about Brooklyn Tailors and I’m already strongly attracted to their stuff. 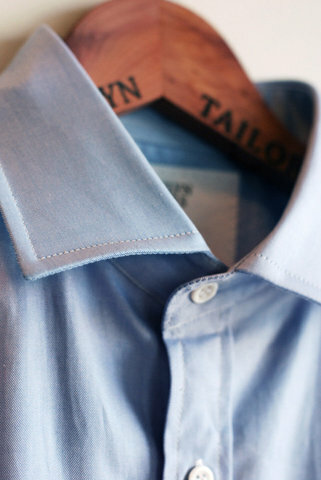 I’m a sucker for a spread collar right now (as you’ll see later as well) on any shirt that would be paired with a tie. And I’ve probably mentioned it before, but I don’t do button down collars with a tie either. As a standalone shirt, they’re good though. Loving the shirts and the description of the fit, “Trim through the body and arms, the shirt is long enough to tuck in, short enough to untuck.” Just the way I like it. Hello, 1960. I for one am glad you’re back. I’d prefer your 1960’s prices but can understand your need to keep up with inflation and desire to stand apart from the crowd. The details are what make this shirt. 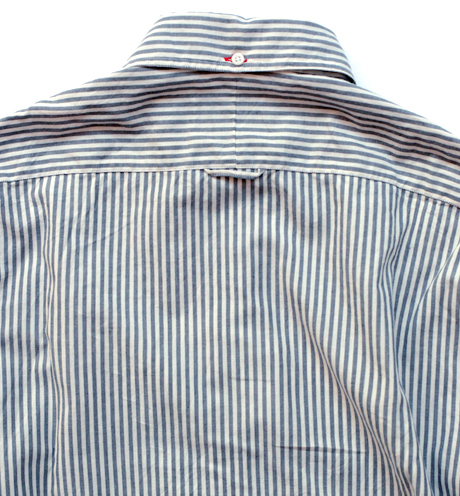 The red thread on the back of the collar is out of sight. Reason #16 to cut your mullet. If you had one, that is. The shirt pops and the collar spreads, must make this look happen. 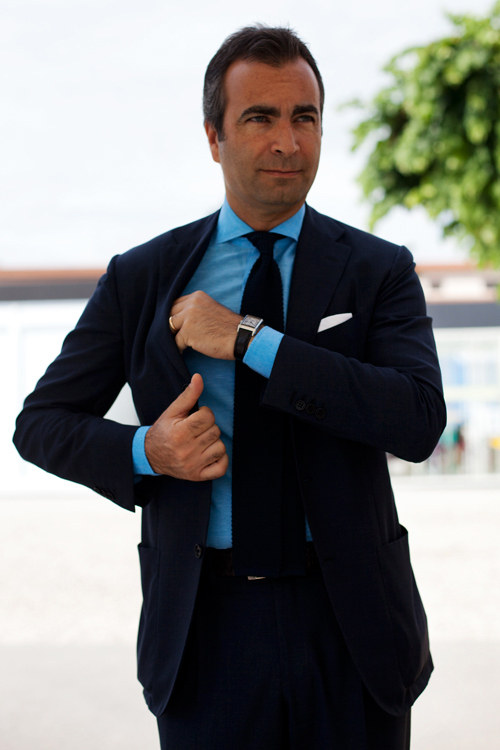 It’s settled, I need a darker blue suit. And a gray one for that matter. For the record, I’ve got a feeling that this guy could have me off’d if he wanted. AFT isn’t normally about highlighting what you shouldn’t do, but today I’m making an exception. Don’t roll your pant legs. Everyone will laugh at you. Everyone. Including Europeans. I’m almost positive that it started as a joke in some college dorm room between a couple of guys to see how many people they could convince that it was actually cool. It’s not fair to your leg hair, the circulation in your feet or my eyes. End this Brooklyn hipster trend now. The dude in bold blue is money, for sure. Saw that earlier this week and made the same remark to my wife. Rolling your pant legs, however, when done right, also looks great. The three pics you chose, save for perhaps the middle pic, are maybe not the best representation. 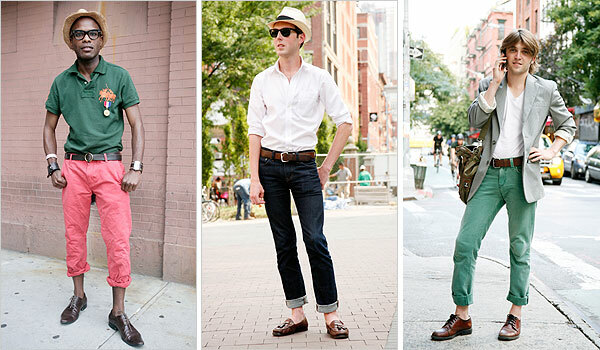 You need longer legs, and slim pants to pull it off IMO. @Eric I’ll take your word on it, however, I’m not taking on that risk. What’ll probably happen though is two years from now it will have really caught on and I’ll be sitting in my room trying to figure out how I can weasel my way into it after all of my disparaging comments. That’s usually how my life works.